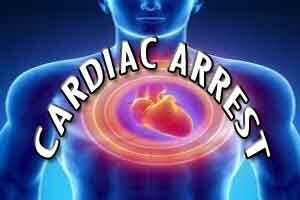 NEW DELHI: Indians are three times more prone to cardiac arrest than Americans owing primarily to poor lifestyle, eating habits and genetic reasons, medical experts have said. While on an average the Americans suffer from cardiac arrest in their 50s, Indians get it in their 40s and the prime reason behind it is lifestyle and food consumption, they said here on Sunday. Genetically also the disease is likely to be passed down Indian families three times more than American families. “The cardiac problem has emerged the number one killer in India which has left the rest of the world behind,” said Pawan Sharma, an eminent cardiologist, at a conference on cardiac death hosted by the Heart Care Centre here. He said better health care and advances in medical sciences in the developed countries had helped curb the death rate ascribable to heart conditions. Several speakers at the conference said the heart problems in India were best tackled through widespread awareness campaigns focussed on prevention and lifestyle changes rather than relying on India’s inadequate medical resources. Sanjay Tyagi, Director of the city-based Govind Ballabh Pant hospital, said: “It’s a myth that anyone developing chest pain and suspecting an impending cardiac attack should be immediately administered sorbitrate before medical care could be reached for management and treatment of the condition”. There was a consensus that suspected case should first be put on disprin as every instance of chest pain was not necessarily heart attack and starting treatment on just having the pain was not advisable, he said. It would be nice to know the source of this staistic of cardiac arrests in young Indians. Can you provide please?